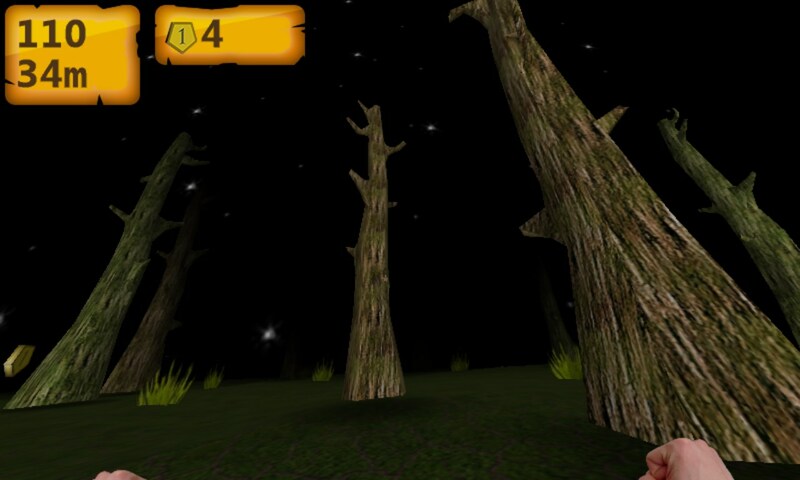 Forest Run 3D – Games for Windows Phone 2018 – Free download. 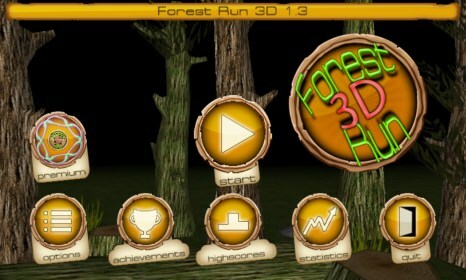 Forest Run 3D – Full-fledged three-dimensional first-person runner. 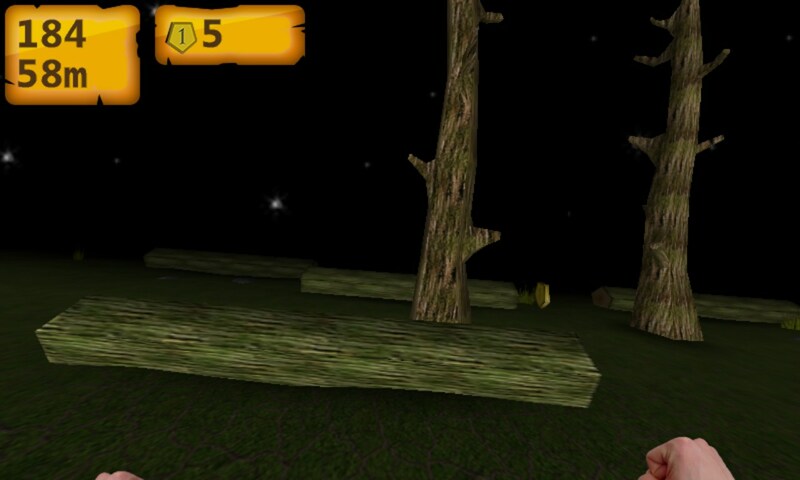 Forest Run 3D is a very unusual runner for Windows Phone which may as well be the only one of its kind, at least for today. In the world of applications for various mobile platforms, there probably already are more than one hundred games of this genre and they share one thing - almost all of them are made from a third person's view. We have to look at one characters from aside and we control other ones while looking at their back. In this very game you are provided with an opportunity to see everything through the eyes of the main character running at full fling God knows where, only to be far away from the place where he wasn't satisfied with something hard. 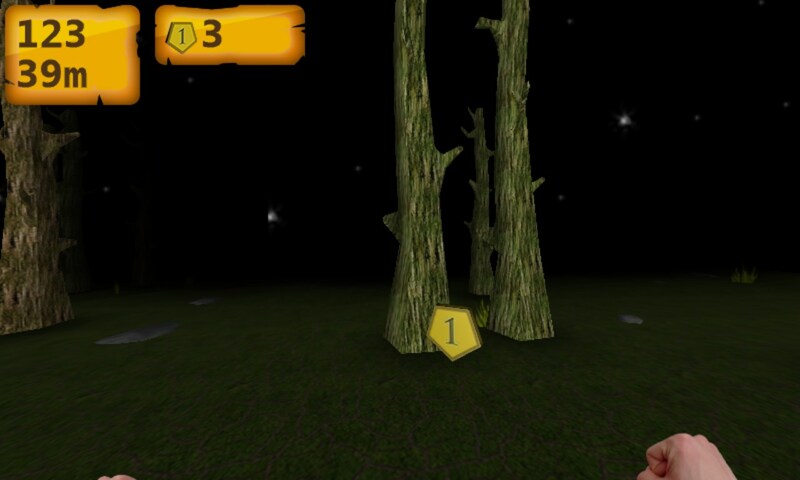 On the screen, we will see only the hands of the main character and trees flashing from different sides. However, the developers have probably overdone it with the hands thing. They do not interfere but spoil the entire picture because of the very frigid and unnatural movements. Generally speaking, we will not pay attention to them, and everything will be fine. Another feature of the game as compared to other runners is a fully three-dimensional world. That is, you can run absolutely in any direction. The main thing is to avoid collisions with growing trees, jump over logs lying on the ground in time, and slip on the back under high obstacles. Visibility in the game is far from perfect. If you run at night, in front of you there will be a pretty small spot of light (we wonder what you keep a flashlight in if on the screen your hands are empty), and all the obstacles will approach you from the darkness. If you decide to run in the afternoon, in front of you some fog will close down instead of the darkness which is, actually the same thing. 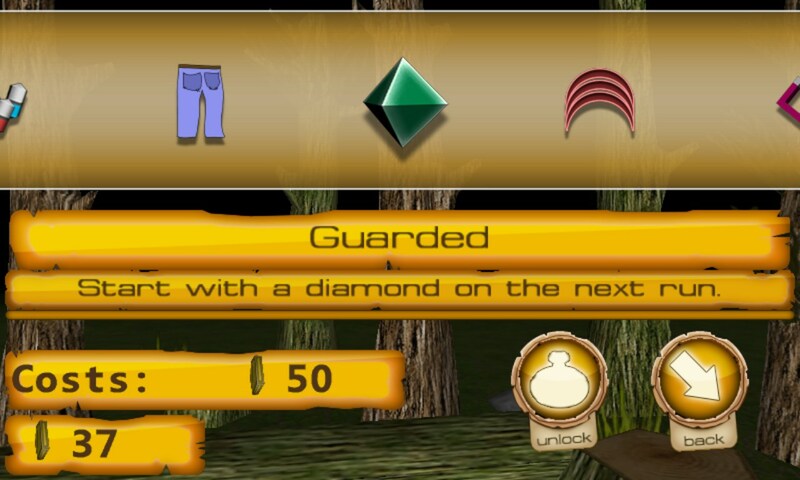 In addition to running around trees, you can collect pentagonal icons that serve as the in-game currency for which you can purchase various bonuses and improvements giving you another chance to put the record. As far as we have understood, the locations in the game are endless but there are already eight of them, and the developers promise to add another soon. 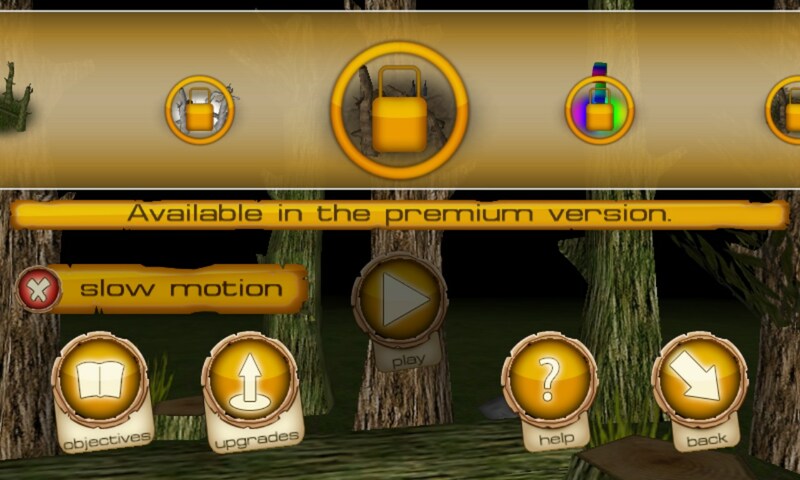 However, in the free version only two of them are available (the forest in the dark and in the morning mist), at that, you will be allowed to unlock the second one only for special merits in the first one. The graphics in the game are quite decent for a three-dimensional one. The sound quality is also quite good and goes well with the gameplay. The controlling is performed by using an accelerometer and vertical gestures on the screen. In general, everything is intuitively intelligible and certainly won't cause you any problems. We recommend the game to all fans of runners. The free version is quite informative and easily allows you to get a general impression of the game even in the first two locations.